This is the final of three wines I'll be reviewing for Dane Cellars. I started with their 2014 Justi Creek Vineyard Grenache, then moved on to their 2013 Los Chamizal Vineyard Zinfandel, and am now concluding with their 2012 Justi Creek Vineyard Cabernet Sauvignon. 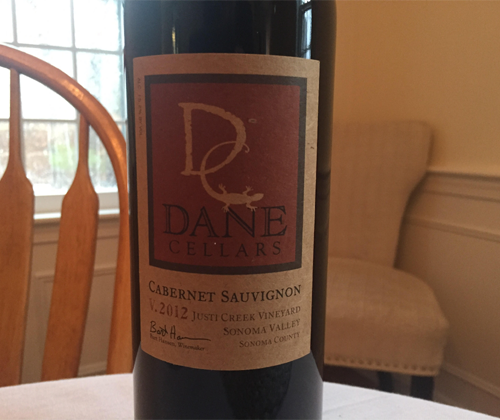 I had the pleasure of having a phone conversation with Bart Hansen, the owner, founder and winemaker of Dane Cellars the same day that the Grenache review was published. It took awhile for us to make that call happen (a month or two) since a friggin' child decided to be born out of my wife and has completely taken over the house. If that's not enough, we have a kindergartner too. So, needless to say, the only thing that has been successfully scheduled the past few months are feedings and nap-times. But Bart understood. He's been there before. And he's a really down-to-Earth guy that gets excited to talk about wine, even if it's not his own. I really like the guy and wanted to keep talking but there was an incident in the house and I had to run off and be daddy again. 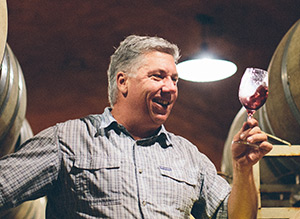 Bart started as a vineyard worker and became a winemaker at Kenwood in 1986. He jumped over to Benziger in 1998, just when the winery had completed its conversion over to being fully biodynamic. There he was the lead winemaker for the Zins, and he learned a great deal about biodynamic and sustainable viticulture. Yeah, Bart's been the daddy before. He even left Benziger Winery just to be a stay-at-home dad to his son Dane, whom Dane Cellars is named after. When he decided that he wanted to get back in the wine game, he also decided that he didn't want to do any of that vineyard work anymore. He just wanted to make the wine. So he called up his Sonoma vineyard connections and began buying grapes from his buddies, founding Dane Cellars in 2007. I have in front of me his single-vineyard 2012 Justi Creek Vineyard Cabernet Sauvignon. Justi Creek is grown by Phil Cotturi, the leading organic farmer in Napa and Sonoma (Bart's Grenache is from this vineyard as well). It's on the valley floor of Sonoma Valley, seeing a full solar array and lots of heat. To offset this, the 337 Cabernet clone is used for its tendency to make a softer Cabernet wine. It was hand punched and cold soaked for five days, left on the skin for 45 days, then pressed off at dryness. It was in 30% new French oak for over two years, then bottled unfined and unfiltered. The final ABV is 15%. I'm in the mood for some Grateful Dead tonight, so while I'm writing this review I'll be spinning my favorite Dead album: Shakedown Street. 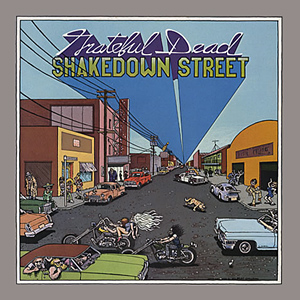 Every time I tell somebody that it's my favorite Dead album I get surprised faces, which in turn surprises me. I mean, damn. This is a classic. And it used to be the heart of town! The color of the wine is a deeeeeep ruby red... and HOLY SPEARMINT GUM! Did I just open a box of Trident? No? Then that smell must be coming from this wine! Dane Cellars produces some really loud aromatics, man. With the spearmint there's also aromas of smashed blackberries, mocha and graphite. In the mouth it's full bodied with soft tannin and balanced acidity. The mocha is more pronounced on the palate, and it's joined with flavors of blackberries, cherries and sticky herbs. The spearmint returns on the finish, which is long lasting and has a mouthfeel that I can only describe as corn-mealish. This is a stellar Cabernet. It's friggin' packed with flavor, yet mellow in the parts that Cab can get oppressive in. For the asking price of $40 I have to give it a recommendation! Thank you, Dane Cellars and Bart Hansen, for letting me drink your wines! Keep up the good work and I hope to hear from you again soon!